Bill to eliminate Environmental Quality Board, rollback environmental review brought forward. A bill recent introduced at the Minnesota Legislature aims to make dramatic rollbacks to Minnesota’s environmental review and permitting processes, while eliminated the Environmental Quality Board. Championed by the Minnesota Chamber of Commerce and authored by Rep. Dan Fabian (R, Roseau) and Senator Ingebrigsten (R, Alexandria) this bill takes environmental review out of the hands of the public and the agencies with expertise to regulate and puts it in the hands of the polluters, turning the process of environmental review on its head. This bill would also eliminate Minnesota’s Environmental Quality Board. (1): Elimination of the EQB: the bill eliminates the sole statewide entity that has cross-agency jurisdiction to protect Minnesota’s environment: The Environmental Quality Board. The EQB has a track record for working collaboratively with agencies and citizens to solve serious cross-jurisdictional environmental problems. No justification for its elimination has been offered - echoing legislator’s backroom repeal of the Minnesota Pollution Control Agency’s Citizen’s Board in 2015. (2) Undermines environmental review: This bill requires the state to allow industries to write their own environmental impact statements. This approach takes environmental review out of the hands of the public and the agencies with expertise to regulate and gives it to the regulated entity itself, turning the process of environmental review on its head. (3): Unrealistic permit timelines: While the agencies have done admirably well in completing permits under the existing 90 and 150 day goals, some projects are simply too big and complex to be adequately permitted in these timeframes. This bill mandates that permits must be granted within a certain time frame without reference to the context, the industry, the project, or the environmental resources at risk. This is a reckless and unwise effort to replace a well-intended agency goal with a hard and fast rule that fails to respect individual permit conditions. Make your voice heard: tell your legislators and the Governor to say 'no; to HF 1291 / SF 1087! Water Action Day (April 19th, 2017) is Minnesota’s day of public action and advocacy to let lawmakers know we care about our water. This all-day event at the Minnesota State Capitol will include a rally, issue trainings and meetings with your legislators. The event is fun and free. Please come for all or part of the day and let your voice be heard! Register here. 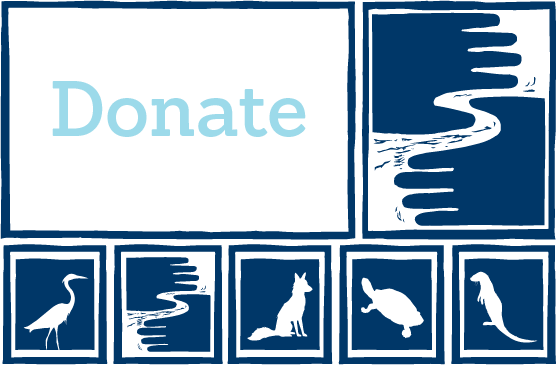 You can learn more about how to help protect our water by signing up to be a River Protector. River Protectors receive legislative email action alerts and our e-newsletter, Mississippi Messages.